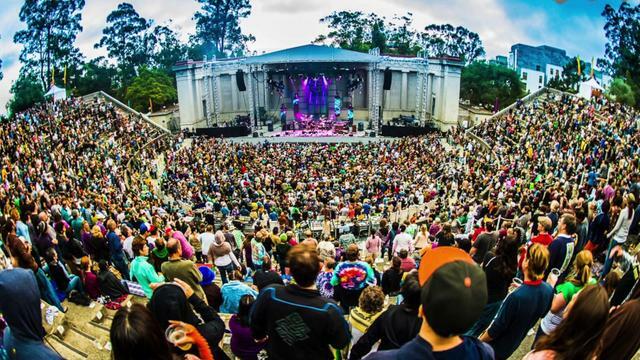 The William Randolph Hearst Greek Theatre, known locally as simply the Greek Theatre, is an 8,500-seat amphitheater owned and operated by the University of California, Berkeley. The ancient style of the theather is based directly on the ancient Greek theater of Epidaurus. The venue is fast becoming the number 1 outdoor theater to experience some of the Biggest names in music. 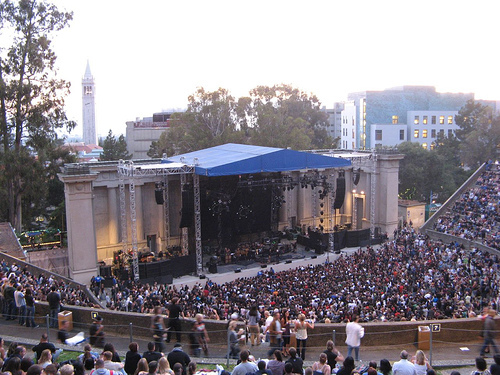 Each year the Greek Theater is used by students to host various events and achievements including The Berkeley Jazz Festival, pop, rock, and world music concerts, UC Berkeley graduation ceremonies, occasional addresses by noted speakers. The History of the theater dates way back to 1894 where it was known as the “Ben Weed’s Amphitheater”. It officially opened on September 24, 1903 with a student production of The Birds by Aristophanes. However, while still under construction in May 1903, the theater hosted a graduation ceremony with an address by President Theodore Roosevelt, who was a friend of Wheeler’s from New York.